Download video files from the removable solid state drive using supplied USB 3 docking cable. Can also use Gigabit Ethernet with full camera control. The X9 PRO can also stream video directly to the internal SSD for longer record times at lower resolutions: eg. Streaming 800x600 pixels at 800 fps for 4 minutes will use 86GB of the space on the internal SSD. You then select and save portions of interest and delete the stream. The X8 PRO can also stream video directly to the internal SSD for longer record times at lower resolutions: eg. Streaming 800x600 pixels at 800 fps for 4 minutes will use 86GB of the space on the internal SSD. You then select and save portions of interest and delete the stream. The X7 PRO can also stream video directly to the internal SSD for longer record times at lower resolutions: eg. Streaming 800x600 pixels at 800 fps for 4 minutes will use 86GB of the space on the internal SSD. You then select and save portions of interest and delete the stream. Gigabit Ethernet for full camera control and downloading files from the camera’s solid state drive. The X4 PRO can also stream video directly to the internal SSD for longer record times at lower resolutions: eg. Streaming 800x600 pixels at 327 fps for 11 minutes will use 100GB of the space on the internal SSD. You then select and re-save portions of interest and delete the stream. 13 seconds record loop at 1000 fps (640x480), 26 sec at 500 fps (640x480). 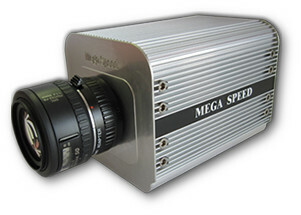 Ships with Mega Speed AVI player with MPEG-4 compression software.